To book an appointment at one of our two clinics, please contact reception. The 2018 National Student Survey released in July has awarded CICM 100% on overall student satisfaction! The NSS is a completely independent and anonymous survey that records student’s levels of satisfaction with their college or university. "The moment I walked in I knew this was the place I wanted to study. 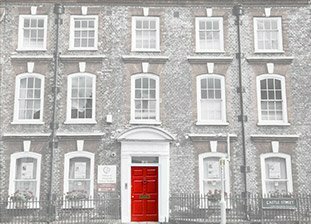 The light, the space, the facilities, the atmosphere, feeling warm, being greeted ...really nice"
Welcome to the College of Integrated Chinese Medicine – we’re delighted you’ve chosen to find out more about the hugely rewarding and growing profession of Acupuncture. We believe that our student-centred approach and our commitment to teaching excellence is what creates such high student satisfaction rates and means that 98% of our graduates remain in fulfilling practices one year on. We’re really proud that our strong reputation has allowed us to welcome students from all over the UK and Europe, often through recommendation and referral from fellow acupuncturists. We know that our student’s lives are often full with work and family, so we offer flexible 3-year full time courses either over weekends or on weekdays which lead to a BSc (Hons) in Acupuncture validated by Kingston University. We also have financing plans and eligible students can apply for student and maintenance loans. All our tutors are experienced acupuncturists and passionate teachers, committed to helping you realise your potential and training you to be part of a hugely rewarding and growing profession. Join us on an open day to experience the wide range of benefits of studying acupuncture with us and to take part in a hands-on taster workshop in the art of pulse diagnosis. Click here to book your place.